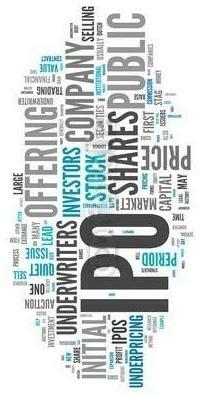 Welcome to CSE Portal for IPO Applications Processing. You have to log into the system to proceed further. 002 MABI002 AB INVESTMENT LTD.
003 MAFC003 AFC CAPITAL LTD.
004 MAIB004 AIBL CAPITAL MANAGEMENT LTD.
005 MACM005 ALPHA CAPITAL MANAGEMENT LTD.
006 MBFC006 BD FINANCE CAPITAL HOLDINGS LTD.
008 MBMS008 BMSL INVESTMENT LTD.
010 MCBC010 CITY BANK CAPITAL RESOURCES LTD.
011 MEBL011 EBL INVESTMENTS LTD.
013 MEII013 EXIM ISLAMI INVESTMENT LTD.
014 MFAS014 FAS CAPITAL MANAGEMENT LTD.
015 MFSS015 FIRST SECURITIES SERVICES LTD.
016 MFSI016 FIRST SECURITY ISLAMI CAPITAL & INVESTMENT LTD.
017 MGCM017 GRAMEEN CAPITAL MANAGEMENT LTD.
018 MGDC018 GREEN DELTA CAPITAL LTD.
019 MICM019 ICB CAPITAL MANAGEMENT LTD.
020 MIDL020 IDLC INVESTMENTS LTD.
021 MIID021 IIDFC CAPITAL LTD.
022 MILC022 IL CAPITAL LTD.
024 MJBC024 JAMUNA BANK CAPITAL MANAGEMENT LTD.
025 MJCI025 JANATA CAPITAL AND INVESTMENT LTD.
026 MLBI026 LANKABANGLA INVESTMENTS LTD.
027 MMTB027 MTB CAPITAL LTD.
028 MPLF028 PLFS INVESTMENTS LTD.
029 MPBI029 PRIME BANK INVESTMENT LTD.
030 MPFC030 PRIME FINANCE CAPITAL MANAGEMENT LTD.
031 MRIL031 RUPALI INVESTMENT LTD.
032 MSCM032 SBL CAPITAL MANAGEMENT LTD.
033 MSIL033 SONALI INVESTMENT LTD.
034 MSBC034 SOUTHEAST BANK CAPITAL SERVICES LTD.
035 MSIM035 SWADESH INVESTMENT MANAGEMENT LTD.
038 MUFI038 UTTARA FINANCE AND INVESTMENT LTD.